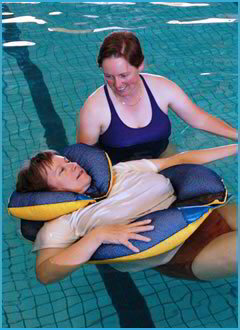 Aquatic physiotherapy sessions are offered as group therapy programs conducted by physiotherapists. Each participant has a program tailored to their specific injury and needs. Specific exercises are taught to address individual movement impairments with the aim of improving flexibility, strength and endurance. All sessions from our physiotherapist location at Modbury are conducted at the Paragon Swim Centre.